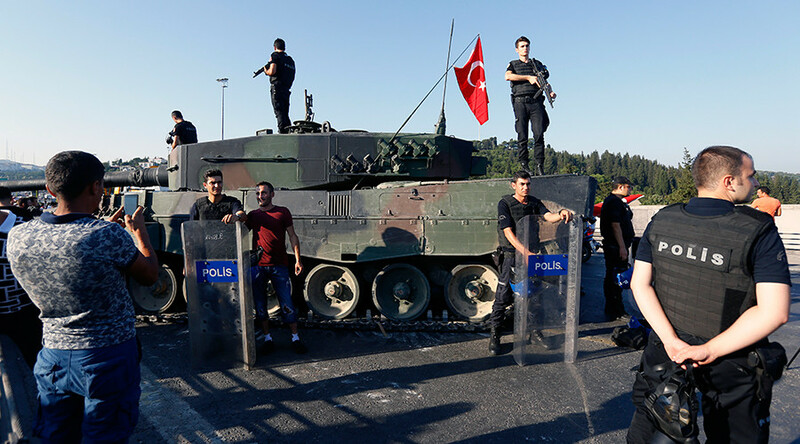 Since becoming a republic in 1923, Turkey has undergone several coups due to a constitution that states the military are not beholden to the country’s political leaders. The most recent attempt continues a history of unrest between politicians and the military. The Republic’s first president, Mustafa Kemal Atatürk, implemented an ideology known as “Kemalism” in order to distinguish the new state from its Ottoman predecessor. Under Kemalism, religion is separate from the state, including with respect to education and culture. The military have historically viewed themselves as guardians of this ideology, with the freedom to intervene when it is perceived as being under threat. The first coup in Turkey was sparked by Prime Minister Adnan Menderes’ attempts to ease restrictions associated with Kemalism. Thousands of mosques were reopened and the call to prayer in Arabic was legalized. Tension rose between Menderes’ ruling Democratic party and the opposition. The military stepped in on May 27, declaring martial law in the country. Menderes was tried for treason and executed on September 17. General Cemal Gursel became both president and prime minister and ruled until 1966. Economic woes continued despite the “coup by memorandum,” and the country saw prime ministers changed 11 times during the ’70s. In September of 1980, the military announced on television that the current government had been dissolved and that they would be imposing martial law. Military general Kenan Evren became president and naval admiral Bülend Ulusu became prime minister until Turgut Özal succeeded him in 1983 and led the country to several years of economic growth. The rise of the Islamic Welfare Party prompted a group of generals led by İsmail Hakkı Karadayı to issue the government a list of recommendations, including closing religious schools and banning headscarves at universities. Prime Minister Necmettin Erbakan agreed to the recommendations before being forced to resign. The party was dissolved the following year.